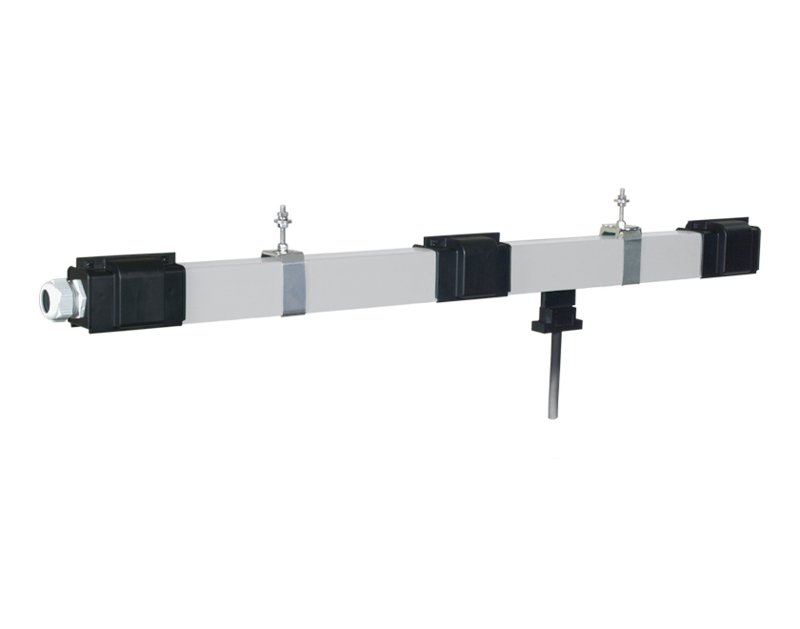 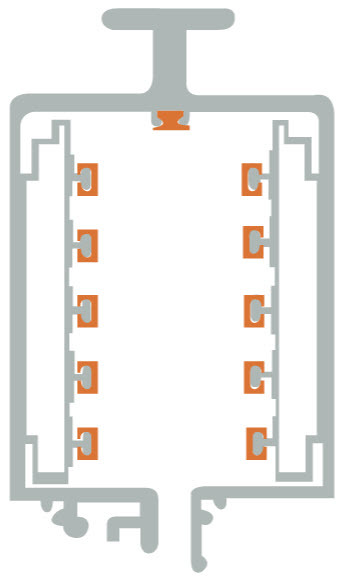 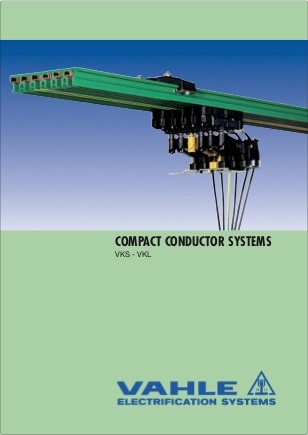 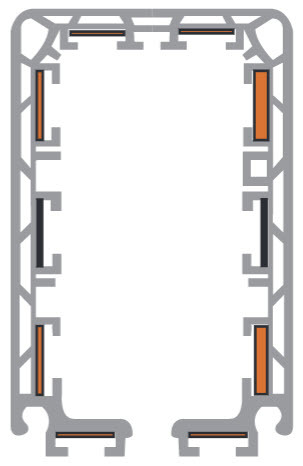 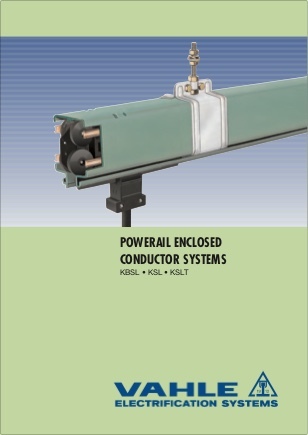 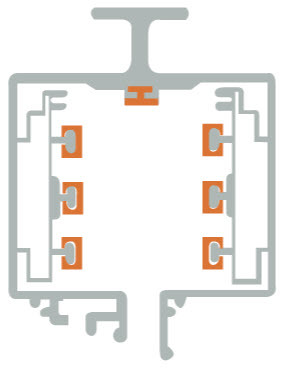 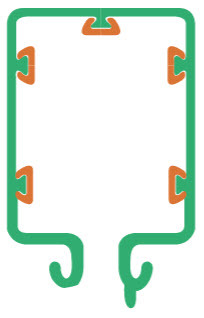 An evolution of conductor bar developed by VAHLE, the enclosed Powerail system, offers numerous benefits and unique features for your specific applications. 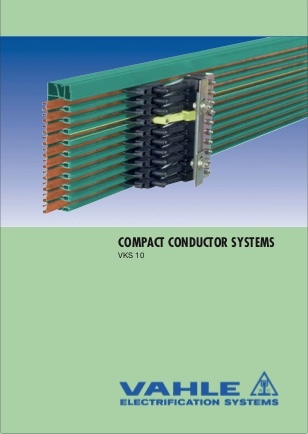 Up to eleven conductors and 300 amps with PVC or Aluminum housing is available. 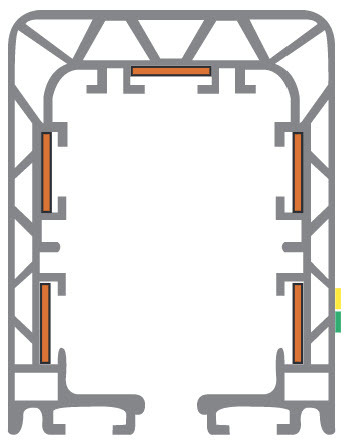 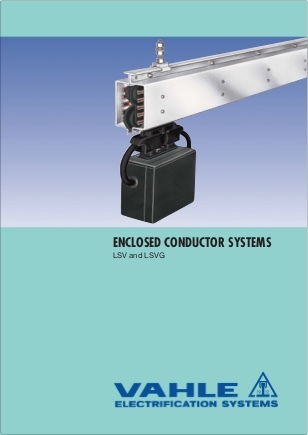 Developed with safety and reliability in mind, each model is touch-safe with copper conductors using an internal riding collector is installed inside an insulated housing. 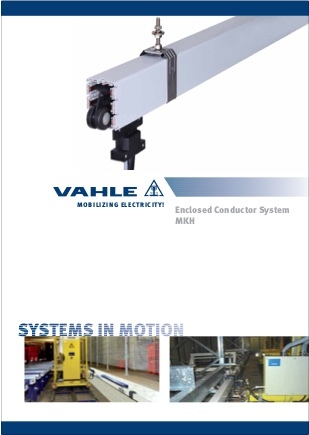 VAHLE enclosed conductor bar systems are a proven solution used in a variety of applications including festoon replacement for overhead cranes, storage and retrieval systems, galvanizing plants, test loops and water treatment facilities. 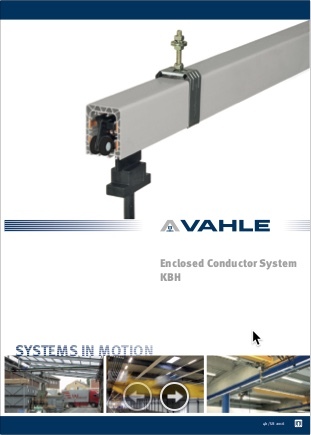 VAHLE offers a variety of innovative accessories including neoprene sealing strip for complete enclosure protection, high speed collectors, multiple feed configurations and maintenance sections.